Young Valentina Ivanova charms St Petersburg's aristocracy with her classic Russian beauty and her talent as a pianist. But she scandalises society when she begins a romance with Jens Friis, a Danish engineer. He brings to her life a passion and an intimacy she has never known. Unbending in their opposition, her parents push her into a loveless engagement with a Russian count. Valentina struggles for independence and to protect her young sister from the tumult sweeping the city, as Russia is bound for rebellion. The Tsar, the Duma and the Bolsheviks are at each other's throats and Valentina is forced to make a choice that changes her life for ever . . . 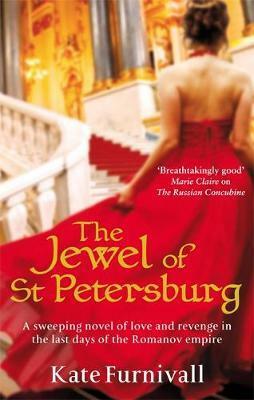 The Russian Concubine and The Concubine's Secret are available to buy NOW in paperback and ebook.